Another album of pretty interesting alt-country/indie rock music. At times the whole alt-country scene is very crossovery with indie music, it does have some really wide appeal. In fact alt-country could often more accurately be described as country influenced indie rock. The album is pretty great, the lyrics are smart and sometimes surreal, the music is really appealing with a great lo-fi sound. 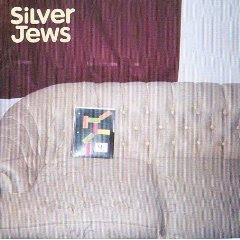 Silver Jews are frequently associated with Pavement, but there is definitely a distinct identity at work here. Fortunately we've been going through a good patch of music lately and this album is no exception. It is full of songs that slowly creep into your mind to the point where after a few listens you really like it and anxiously expect some of your favourite lyrical moments, such as when Tennessee rhymes with Ten I See. "Tennessee" was chosen as the title track for an EP that also included "Long Long Gone," "I'm Gonna Love The Hell Out of You," and the brief throwaway "Turn Your Guns Around."